When we talk about NSAID's, we can include products like aspirin, Advil, Aleve, Motrin and many more. The newer group of NSAID's is also implicated. I am talking about Vioxx, Celebrex and Bextra. The risk factor for ulcer complications is lower with the last group of prescription drugs but as most of you know, Vioxx was recently pulled from the market because of possible cardiac implications. Of course, the drug companies and the government are taking a closer look at the other two drugs in that category. Our stomachs have natural bicarbonate that protects us from ulcers. However, the amount of bicarbonate is controlled by prostaglandins and in some parts of your body, they can cause inflammatory responses. When you listen to television commercials, they talk about Cox-I and Cox-II inhibitors. I am referring to ads for products like Celebrex and Bextra. Now, these two enzymes are in charge of manufacturing prostaglandins. The one that protect your stomach is of the Cox-I type. They control the amount of bicarbonate released into your stomach. The Cox-II type deals with inflammation through prostaglandin production. This is what I call "high-end" NSAID's. They are prescription drugs and very expensive. Supposedly, these drugs control inflammation with less stomach irritation or complications. Of course if they follow the course of Vioxx, they will not be on the market much longer either. The point is, these drugs were touted for their ability to control inflammation from arthritis with less stomach complications. When you are using an NSAID of any kind, it holds back the ability of your body to produce prostaglandins that protect both your stomach and inflammation. In short, it inhibits your body's ability to offer this protection. So, do you have to suffer with arthritis pain or risk the ulcer? If you feel you must use an NSAID, and I caution against them, then you should use a product like Prilosec (an over-the-counter antacid); or, Prevacid or Nexium (prescription). These drugs reduce the production of acids and if taken at the same time as an NSAID, reduce the ulcer risk. Frankly, I am a strong advocate of using a pharmaceutical quality liquid glucosamine. 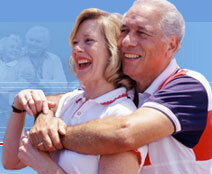 Most osteoarthritis sufferers get great results and there is absolutely no ulcer risk involved. Certainly, there is no risk of cardiac problems associated with using liquid glucosamine.